Discover unique variety of living options at Lake Park, a Continuing Care Retirement Community (CCRC) offering full-service retirement living. Situated in an ideal location overlooking downtown Oakland with views of Lake Merritt and the East Bay Hills, Lake Park is a community filled with extraordinary people, fascinating stories and an eclectic blend of services and amenities that combine modern convenience with classic appeal. It’s easier to make a decision for your future when you have all the information you need and we are here to help. 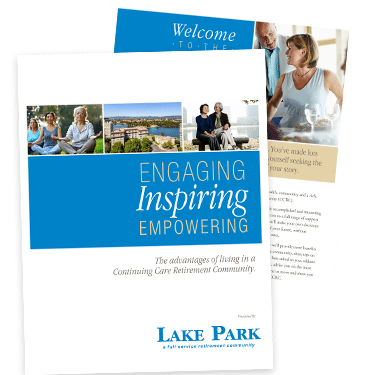 Download Lake Park’s Senior Living Guide by completing the form or contact us directly at 510-835-5511. Download our complimentary guide to help you choose the right Senior Living community for you.